This debrief was prepared by Aleksandra K. Wierzbowski. Questions, comments and suggestions regarding this debrief are most welcome and can be sent to Sheikh.Qadar@umanitoba.ca. What are important characteristics of Pertussis? What is the current risk for Canadians from Pertussis? What measures should be taken for a suspected Pertussis case or contact? Pertussis, whooping cough, a contagious infection of the lungs and airways is caused by the bacterium Bordetella pertussis, a small, fastidious, Gram- negative, coccobacilli. Bordetella pertussis attaches to the cilia that line the upper respiratory tract and releases toxins which damage it and cause the airways to swell. Pertussis is primarily a toxin mediated disease. Chronic carriers of B. pertussis are uncommon. The catarrhal stage (early stage) of pertussis resembling a typical cold, runny nose, low grade fever and mild, occasional cough is followed by paroxysmal stage (later stage) of characteristic uncontrollable, rapid, violent coughing with intermittent deep breath which creates a high – pitched “whooping” sound, vomiting and exhaustion. Pertussis in babies often does not present with coughing but rather with apnea (long pauses in breathing) and cyanosis (blue/purplish skin coloration due to lack of oxygen). Despite increasing awareness and recognition of pertussis as a disease that affects adolescents and adults, pertussis is often overlooked in the differential diagnosis of cough illness in this population. Illness is generally less severe, and the typical “whoop” less frequently seen in adolescents and adults. Pertussis is a serious illness in babies, children, teens and adults and a long one to recover from. A catarrhal stage of 1 to 2 weeks is followed by a paroxysmal stage lasting from 1-6 weeks. A convalescent, gradual recovery stage follows and can last 2-3 weeks. Pertussis can cause serious and sometimes deadly complications in babies and young children particularly in those not fully vaccinated. Since immunizations programs begin at 2 months, infants under 2 months of age are very vulnerable and adults and older children who are around those infants should be vaccinated. About 50% of babies younger than 1 year require hospitalization mostly due to apnea and pneumonia. Other less common complications are seizures and encephalopathy. Mortality rate of 1% has been noted. One to three deaths related to pertussis usually as a consequence of pneumonia occur each year in Canada, particularly in infants who are too young to be immunized or unimmunized or partially immunized children. Among teens and adults the complications are less serious than those in babies and are often caused by the cough itself (Cough can persist for >10 weeks); rib fracture, loss of consciousness and loss of bladder control. Nevertheless, hospitalization and pneumonia have been reported in up to 5% and 2% of the cases, respectively. Weight loss can be also a significant complication. Pertussis is endemic worldwide, even with countries with high vaccination rates. No seasonal variations have been noted. Incidence rates are the highest among young children in countries where vaccination coverage is low (developing countries). Widespread immunization, proper nutrition and good medical care resulted in a decrease in the incidence of pertussis in developed countries. Pertussis is increasingly reported in older children, adolescents and adults due to waning immunity. Pertussis is the second most reported vaccine-preventable disease in Canada. Its incidence is highest in infants and children, and decreases sharply in those older than 14 years of age. It is a cyclical disease, with peaks in activity occurring in two to five year cycles. Typically, the pertussis incubation period is 9 to 10 days but can range from 6 to 20 days. In rare cases as long as 42 days. Humans are the only reservoir for pertussis disease. Adolescents and adults are often the source of infection in infants. It is a very contagious disease spread easily through droplets in the air from person to person by coughing, sneezing or sharing breathing space. Infected people are most contagious up to 2 weeks after the cough begins. Babies become infected by older siblings, parents or caregivers who might not even know they have the disease. Children can also acquire infection from direct contact with toys handled by infected person and then rubbing their eyes and mouths. Bordetella pertussis can survive for 2 to 5 days on dry surfaces such as clothes, glass or paper. Culture is considered the gold standard but polymerase chain reaction (PCR) and serology can also be performed. Culture from nasopharyngeal (NP) specimen collected during the first 2 weeks of cough has excellent specificity (100%) and is particularly useful for confirming pertussis diagnosis during an outbreak investigation. PCR is a rapid test and when tested from NP specimens taken during the first 3 weeks following the onset of cough has excellent sensitivity. PCR assay with multiple target sequences allow for Bordetella speciation. PCR testing following antibiotic therapy is likely to result in false-negative findings and after 5 days of antibiotic therapy is not recommended. Serologic tests are more useful for diagnosis in later phases of the disease. The optimal timing for specimen collection is 2 to 8 weeks following cough onset, when the antibody titers are at their highest; however, serology may be performed on specimens collected up to 12 weeks following cough onset. Prevention and control of pertussis disease can be done through vaccination and natural, infection, antibiotic treatment and prophylaxis, and hygiene. The best way to protect against pertussis is to get vaccinated. In Canada, pertussis vaccine is only available as an acellular preparation in a combination vaccine. There are two vaccines available, the diphtheria, tetanus, and pertussis (DTaP) containing higher concentration of acellular pertussis antigen (aP) recommended for children younger than 7 years old and the tetanus, diphtheria and pertussis (Tdap) containing lower concentration of acellular antigen (ap) recommended for older children and adults. Routine pertussis immunization of infants, children and adolescents is recommended at 2, 4, 6, and 12 to 23 months (typically at 18months) of age. Subsequently, a booster is recommended at school entry (4 to 6 years of age) and 10 years later (14-16 years of age). One dose of Tdap vaccine is recommended in adulthood, especially for those who are in contact or anticipate contact with children. Unfortunately, these vaccinations do not provide long lasting immunity. The current vaccine for pertussis is highly effective during the first three years after vaccination, but immunity wanes over the next several years, leaving little protection from the disease. Nearly all children (98 out of 100) who get all five doses of DTaP on schedule are fully protected against whooping cough within the year following the last dose. About 7 out of every 10 of children who get all five doses of DTaP on schedule are fully protected against whooping cough five years after getting the last dose of DTaP. • About 7 out of every 10 people are fully protected against whooping cough in the first year after getting it. • About 3 or 4 out of every 10 people are fully protected against whooping cough four years after getting it. Natural infection provides natural immunity, however the length of protection varies from 4 to 20 years. Therefore, as the immunity is not lifelong, vaccination is still recommended. Antibiotic prophylaxis may be recommended for members of the household of an individual diagnosed with pertussis to help prevent the spread of disease. In addition, prophylaxis may be recommended to outside the household to people at risk of serious disease, and those who have routine contact with people at risk of serious disease. Antibiotic prophylaxis may be recommended for pregnant women in their third trimester who are not themselves at increased risk but could expose their newborn to pertussis. • Use an alcohol-based hand rub if soap and water are not available. Pertussis is treated with antibiotics. Early treatment before the cough begins is very important and may render the infection less serious. Treatment may also prevent spreading the infections to others. Empiric treatment is highly recommended if clinical history is strongly suggestive or patient is at risk of severe or complicated pertussis disease (infants). Although a few strains have shown resistance to macrolides, there is no indication of emerging resistance to antimicrobial drugs. What is happening with current outbreaks of Pertussis in Canada? In 2017, several Canadian provinces—Alberta, Manitoba, Saskatchewan and New Brunswick—have reported outbreaks of pertussis. In recent years, higher number of cases than usual has been reported and the number of cases continues to grow every year in many provinces. On June 7, 2017 an outbreak of 17 confirmed cases of whooping cough had been declared in the southern Alberta area from Fort Macleod to Coaldale. This area has had higher rates of random cases of pertussis over the last three years and it’s an area of lower childhood immunization rates. By June 29, 2017, the outbreak surged to 266 cases of pertussis. The highest number of cases (113) was reported in the south zone of the province and the lowest, 15 in the North. The South zone confirmed 92 cases out of the 113 to be linked to the current outbreak. An outbreak of whooping cough in Southern Manitoba (Steinbach) partly linked to infants who haven’t been vaccinated has been reported in January 2017 following 10 cases confirmed in December 2016 alone.  Pertussis, although considered a disease of rare occurrence in Manitoba with 15 cases per year occurring on average in the region, has been increasing in incidence since 2015 with cases above average, which is of concern. To date (April 2017), 41 cases have been confirmed, 8 cases were in April alone. Over the 10 year period (2005–2015) there have been two outbreaks with 1,265 cases reported in 2006 and in 2012 with 1,044 cases. Since 2014 the incidence of pertussis has been on the raise with 700 cases reported in 2015. The number of pertussis cases has been on the raise since 2013 with 958 cases, a rate of 20 cases per 100,000 reported in 2015. A case of whooping cough at a Victoria elementary School has been confirmed by the Vancouver Island Health Authority at the end of the school year, June 2017. As of April 21, 2017, 12 cases of whooping cough have been confirmed in an outbreak at Devon Middle School in the Fredericton and central region, bringing the total to 22. New Brunswick usually sees about 27 confirmed cases province-wide each year. As of March 2017, 200 confirmed and suspected cases of whooping cough have been reported in the northwest portion of the Prince Albert Parkland Health Region. Beginning in 2015 the number of pertussis cases has been much higher than in the previous years. In addition, an outbreak of whooping cough in the city of Moose Jaw, Five Hills Health region has been declared with 4 confirmed cases among school-aged children (two elementary and two high-school) in February 2017. Pertussis can affect individuals of any age; however the greatest risk is among the unvaccinated ones, those too young to get vaccinated (younger than 2 months), too young to be protected by complete vaccination series (younger than 14) or those choosing not to get vaccinated. Immunity to pertussis from childhood vaccination and natural disease wanes with time; therefore, adolescents and adults who have not received a booster vaccination are at risk of infection and its consequent transmission of the bacteria to others. People can get pertussis many times during their lifetime as they do not develop permanent immunity. Pertussis commonly occurs worldwide, even in countries with high vaccination rates. Travelers should be up-to-date with recommended pertussis vaccinations before departure. PHAC has developed guidelines to help healthcare providers in the management of the person with pertussis infection and their contacts. These include signs and symptoms, control and prevention, testing, vaccination and reporting. In addition, the Canadian Immunization Guide has also developed guidelines on pertussis infection. PHAC has developed national notification guidelines for confirmed case, probable case, and suspected case of pertussis. These case definitions are strictly for the purpose of case identification and reporting. Confirmed cases of pertussis are nationally reportable disease in Canada. Surveillance of pertussis is conducted by public health professionals in provinces and territories and all confirmed cases are to be reported to the Public Health Agency of Canada (PHAC) through the Canadian Notifiable Disease Surveillance System (CNDSS). Pertussis is also monitored through the immunization Monitoring Program, ACTive (IMPACT), an active hospital based peadiatrics surveillance system supported by the PHAC. Cases of pertussis should be reported to the local health authority. Confirmed and suspected cases should be isolated from young children and infants until the patients have received at least 5 days of antibiotics. Suspected cases who do not receive antibiotics should be isolated for 3 weeks after onset of paroxysmal cough or until the end of cough, whichever comes first. Contacts, especially children, must have their immunization status verified. If immunization status is incomplete and no contraindications are identified, recommended doses of vaccine should be given. Specific disease management and control guidelines may be available at the provincial, territorial, or local level.